The Governance for Growth (GfG) program in Vanuatu has been running for ten years, and is about to move into its third phase. Considered to be quite innovative when it was first implemented, the program has supported some significant economic policy and public finance reforms. It has also survived changes to the institutional arrangements for the delivery of Australian aid, and significant shifts in the political landscape in Vanuatu. 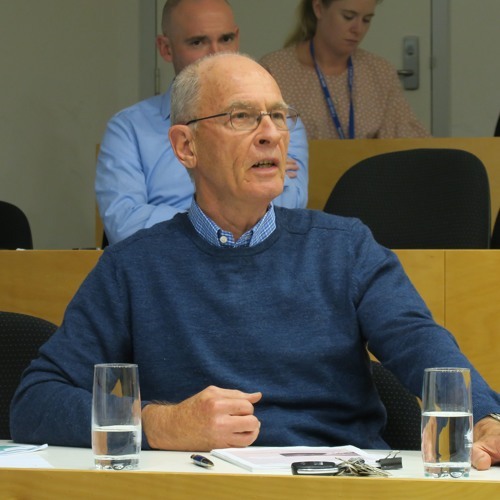 The program was recently the subject of two in-depth reviews, one led by the Overseas Development Institute, and the other by a team of Department of Foreign Affairs and Trade (DFAT) economists. These reviews provide an opportunity to consider the successes and failures of GfG, what elements of the model were most useful in supporting success, and whether the lessons of the last ten years have implications for other small island developing states. This podcast features a recording of a panel discussion covering these issues. The panel featured the following participants: Pablo Kang, Assistant Secretary, Melanesia Branch, DFAT, and former Head of Mission in Vanuatu Matthew Harding, Director, Pacific Economic Growth Section, DFAT, and Manager of GfG during the evaluations Jonathan Gouy, Director, Development Economics Unit, DFAT and leader of the economic review (via a presentation given by Bob Warner) Clinton Pobke, Manager and Jennifer Kalpokas Doan, Senior Program Manager, GfG Bob Warner, Visiting Fellow, Development Policy Centre, and member of the GfG review team This event is presented by the Development Policy Centre, a consortium partner of the Pacific Research Program (PRP). PRP is supported by the Australian aid program.